Fall is upon us and in about a months and a half, the feature adaptation of Orson Scott Card's novel Ender's Game will arrive in theaters at long last. The latest two posters follow a series of propaganda-style marketing, all of which reminds us that "the next invasion is imminent." 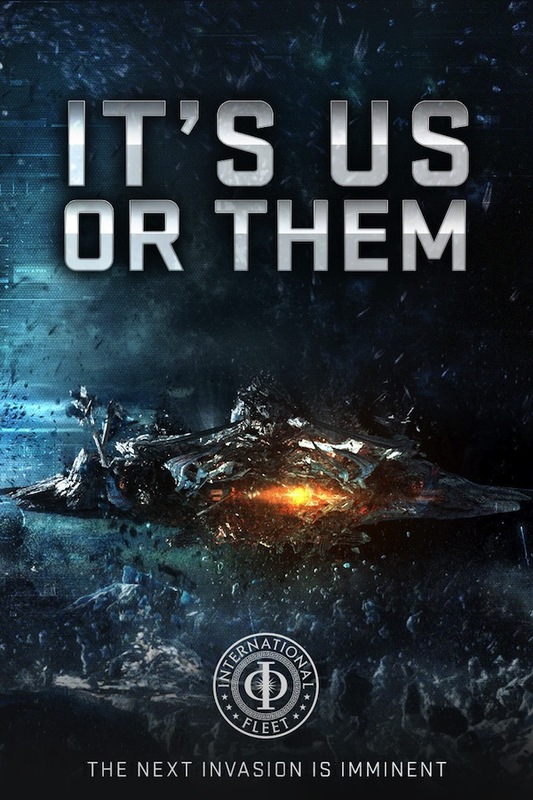 The one above takes a more explosive approach, showing a ship mid-destruction, set below the words "It's Us or Them." And of course, the International Fleet logo is included there as well, so you know where to sign up if you're looking to support humanity's fight against the alien "Formics" whose next invasion is evidently imminent. 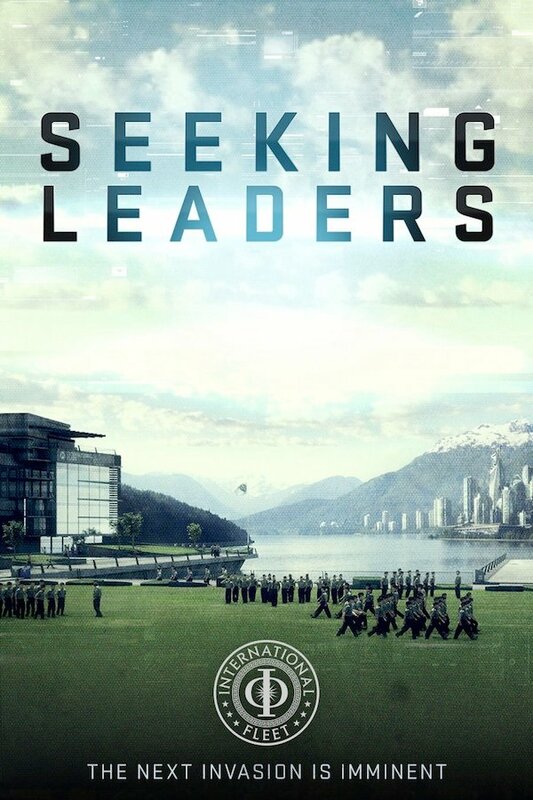 The International Fleet is "Seeking Leaders," and though there's a war to prepare for and lives will be on the line, military training looks almost like a cozy retreat from that poster's vantage point, doesn't it? Reality for the children featured in Ender's Game isn't quite as scenic, unless you consider the view of Earth from aboard the orbiting Battle School. And let's face it, most kids would probably forfeit a room with a view for the opportunity to hover around in zero gravity, zapping each other with flash guns and trying to improve their army's standings. It's all fun and games... until that next invasion, of course. At the center of the story is Ender Wiggin, a particularly gifted and compassionate child who shows an enormous amount of potential though he starts out as the underdog. Asa Butterfield plays Ender, while Harrison Ford plays Colonel Graff, one of the authorities at Battle School, who happens to be keeping a close eye on Ender's progress as he arrives, begins his training and attempts to find his place among his peers. Also among the cast are Hailee Steinfeld, Viola Davis and Ben Kingsley, not to mention a host of other talented young actors set to play Ender's fellow soldiers. Ender's Game arrives in theaters November 1, which still gives you plenty of time to read the book. Read our set visit report here.